A whole fleet of new smartphones will be setting sail in the coming weeks. One of them will be the OnePlus 6, which could be the new flagship killer. Even though we’ve slowly gotten used to OnePlus and the image of the company as a small start-up is long gone, things could get really exciting. Again and again, OnePlus has been getting fans excited with small tidbits of information about the new device. Not many details have been revealed yet, but it’s certain that the OnePlus 6 will again have Qualcomm’s current top chip, the Snapdragon 845. It will come with plenty of memory and at least one dual camera. Fans can also expect to find a notch in the display. OnePlus also recently released a statement saying the OnePlus 6 will come with a waterproof casing. In terms of design, we may have already seen the OnePlus 6 here in the editorial office, more specifically in the form of the Oppo R15. Oppo smartphones have often served as the inspiration for the design of OnePlus models, and if this happens again this time, we’re in for a real treat. The device will have glass and aluminum all around, and perhaps even a ceramic option. It could be a really sleek device. It remains to be seen whether the fingerprint sensor will remain on the back or return to the front. But one thing is for certain: technically and aesthetically, OnePlus won’t let us down. With its first smartphone, the OnePlus One, OnePlus arrived on the market with a bang, especially in terms of price. At 299 dollars, its price was unrivaled if you consider what OnePlus offered. Over time, however, prices gradually increased, and the OnePlus 5T with 128 GB of internal memory cost 559 dollars. Prices for the OnePlus 6 are expected to be somewhere between 549 and 699 dollars, depending on whether OnePlus offers another version with 256 GB of storage. So that’s a hefty price. The numbers are clear. Of course, OnePlus smartphones have become more expensive. But a glance to the competition is very telling: others have worked much harder to crank up their prices. The most expensive models from Apple and Samsung have cracked the 1,000 dollar mark. Huawei’s Porsche Design Mate RS even climbed to the 2,000 dollar mark. In comparison to the prices that the top dogs are demanding, the OnePlus 6 will probably almost seem cheap. OnePlus has now arrived to the masses. Will there be another chapter to OnePlus’s success story? There is one experiment that OnePlus didn’t continue: the OnePlus X. OnePlus’s only mid-range smartphone to date has never been reissued, with the mid-range class typically driving the most revenue. OnePlus is probably also under some pressure from its parent company BKK, which also brings together Oppo and Vivo under its roof, two other brands that aren’t necessarily at home in the luxury class. I’m very excited about the OnePlus 6 and can’t wait to see it will allow the manufacturer to continue its success story. It has everything it needs on the technical side as well as in terms of design and price. 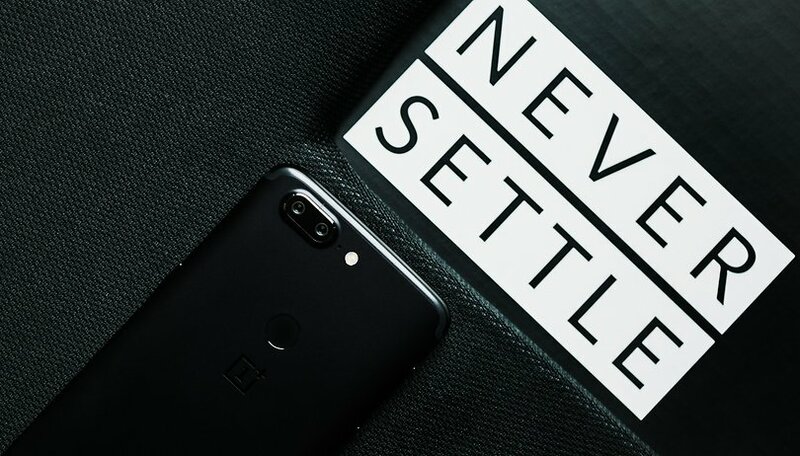 In the long-term, however, OnePlus should consider departing from the biannual releases and keep its top models up to date for longer. This would allow fans to also acquire cheaper older models of OnePlus smartphones. Are you looking forward to the OnePlus 6? Another disappointment from the hype machine in the offing.